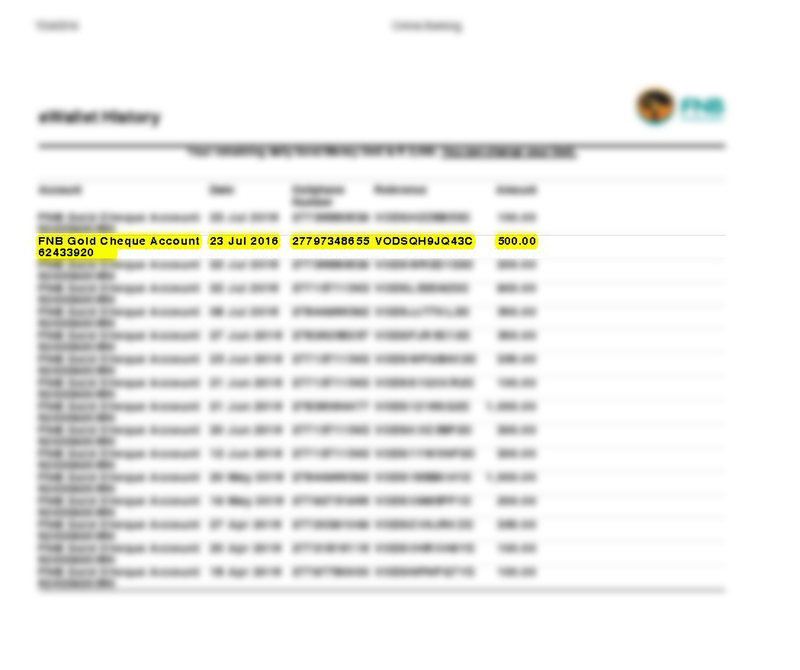 mailed back with my identity and bank statements both personal and business. 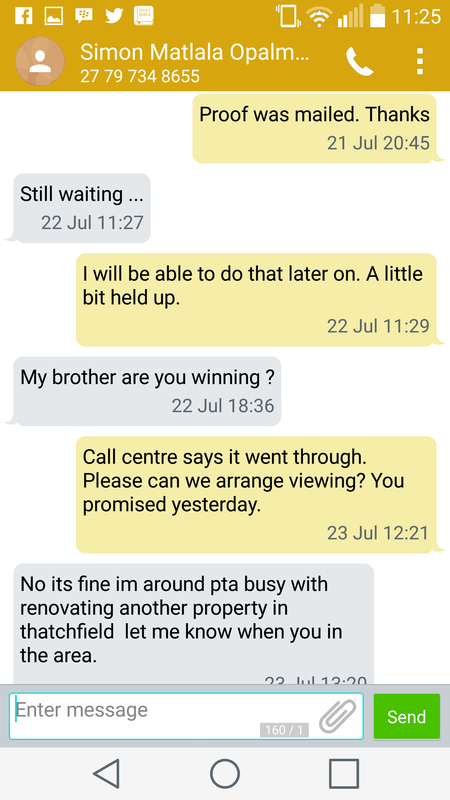 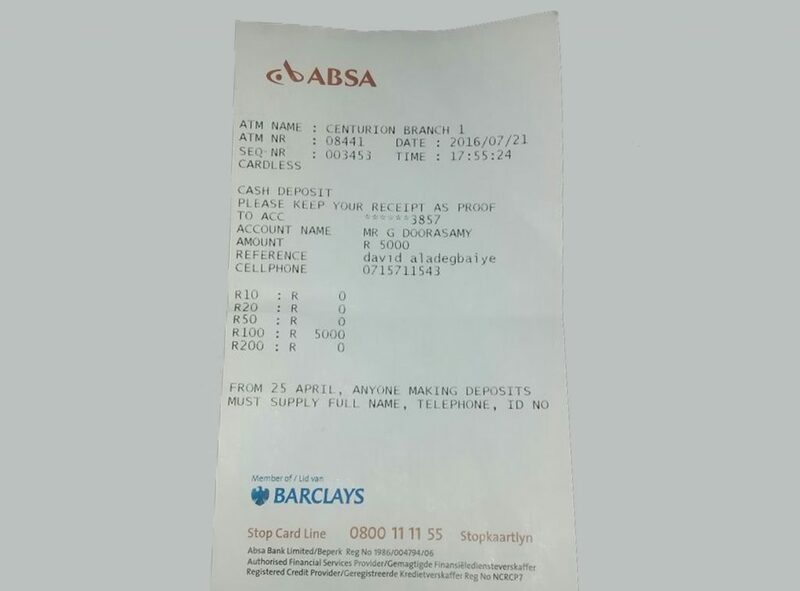 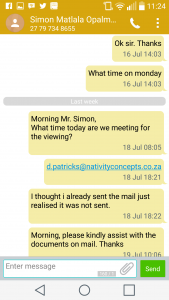 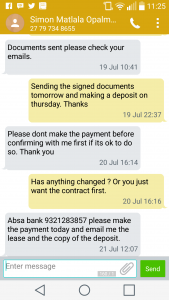 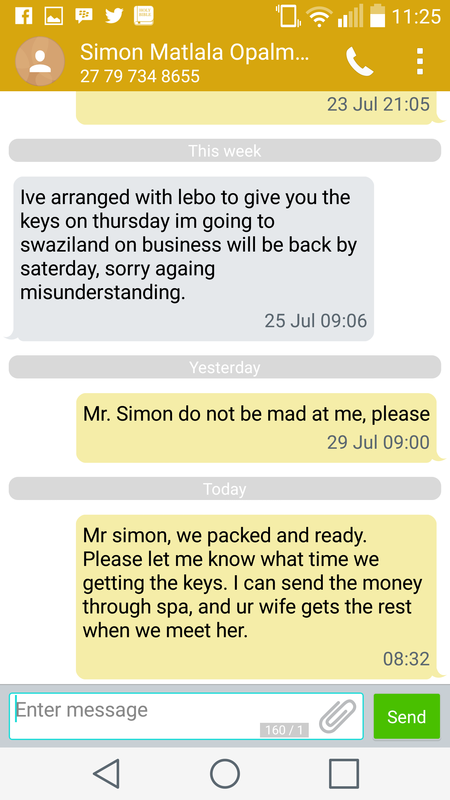 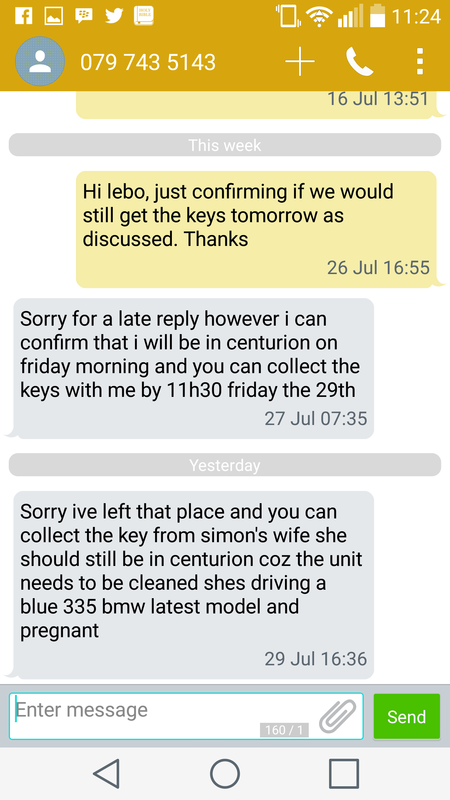 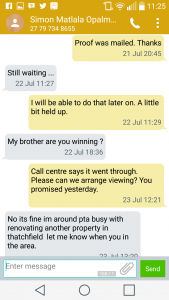 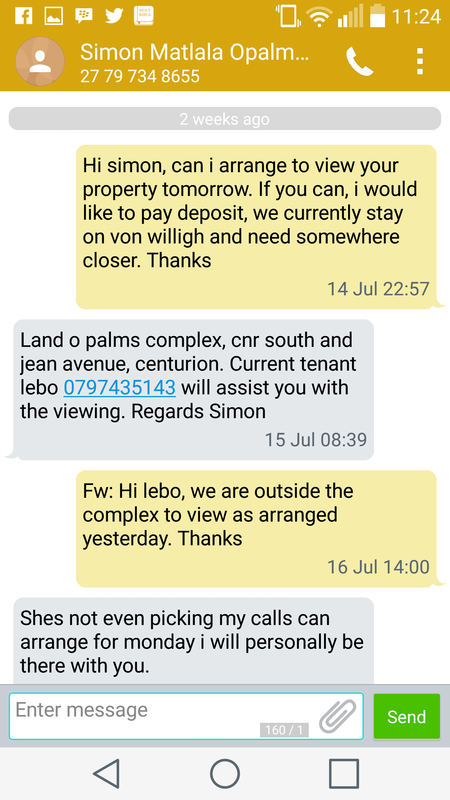 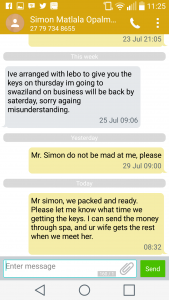 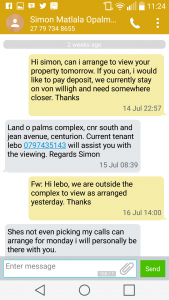 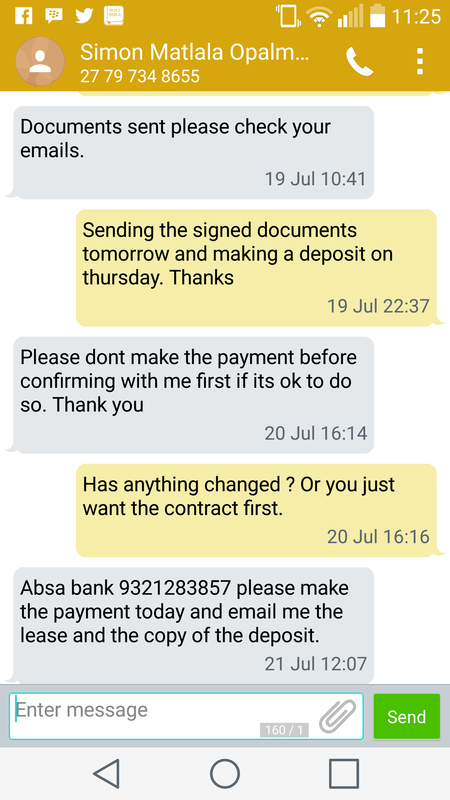 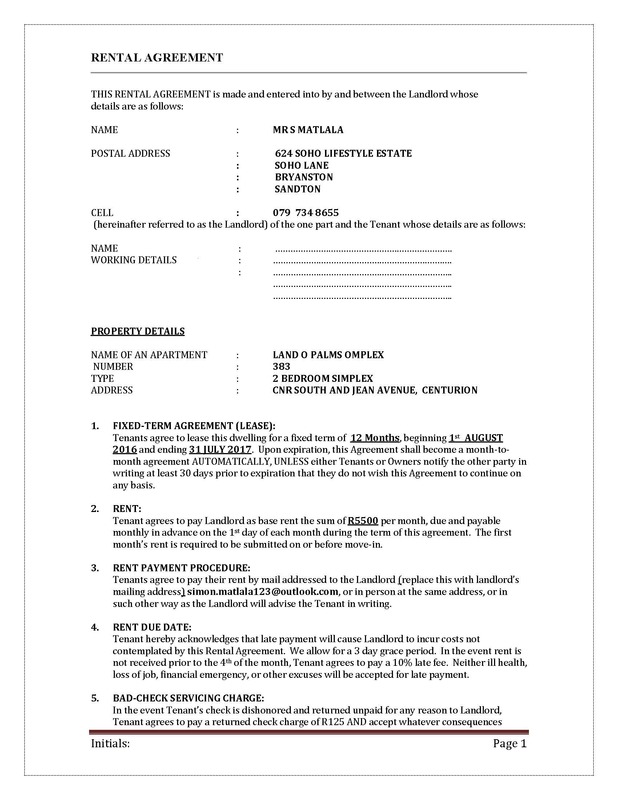 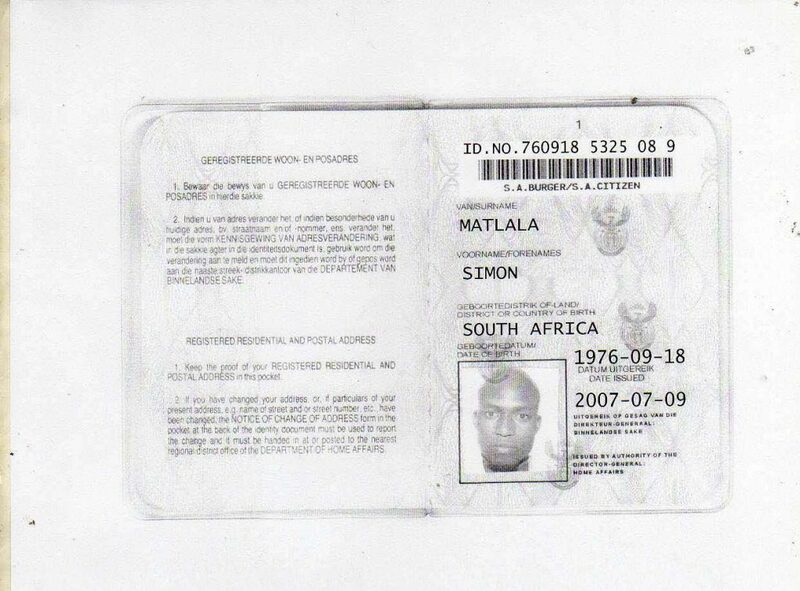 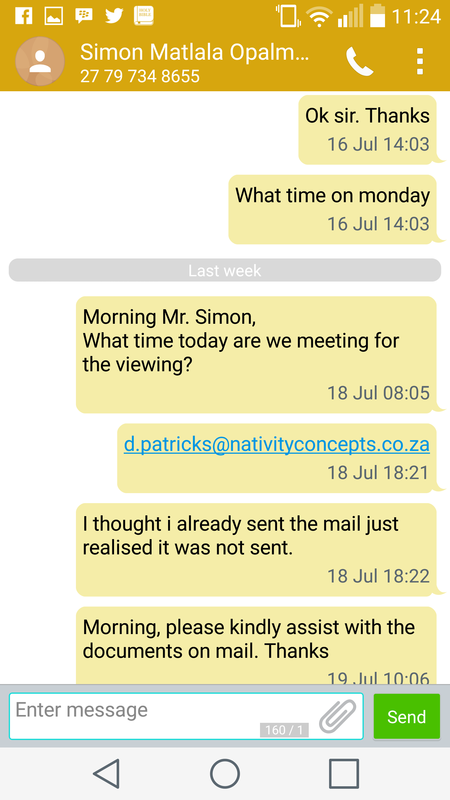 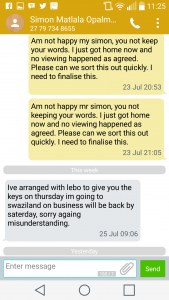 Simon’s phone no is 079 734 8655 and alternative number 0712836326.
house complex and realized the unit number advertised never existed. 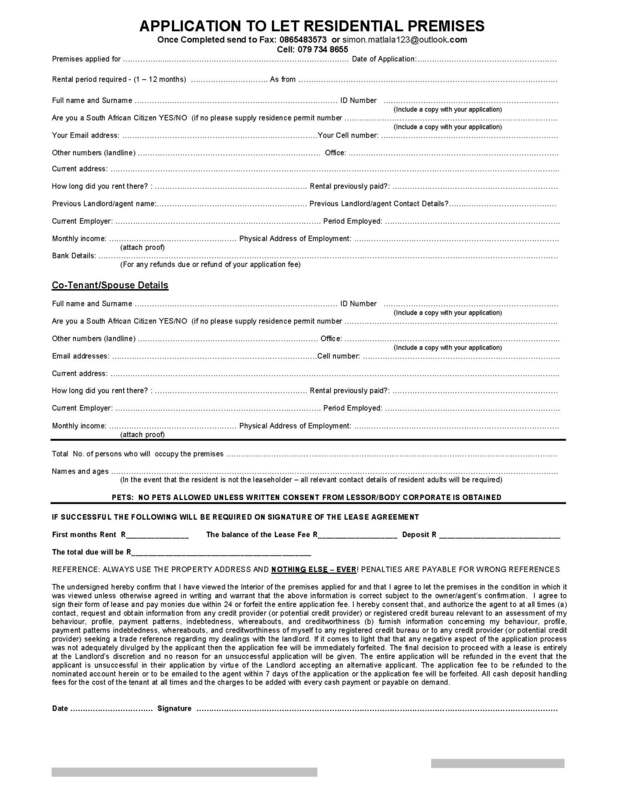 deposit and new rental payment to re-secure our current space. 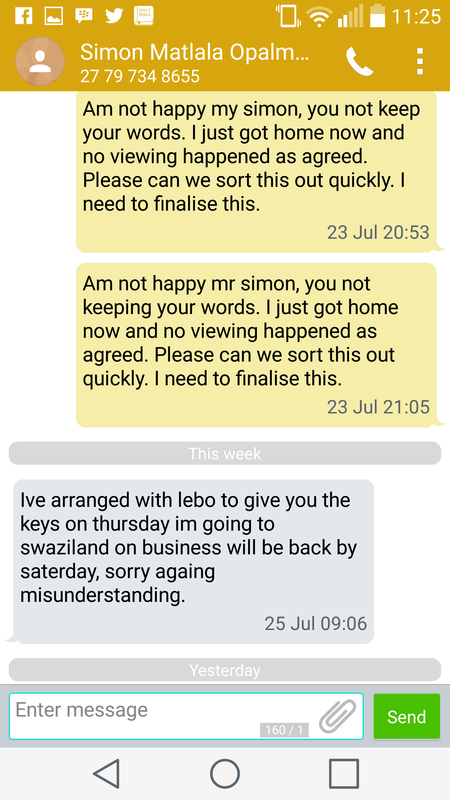 we would get our Keys. We have instituted a civil case, investigation and legal claim against the fraudster.